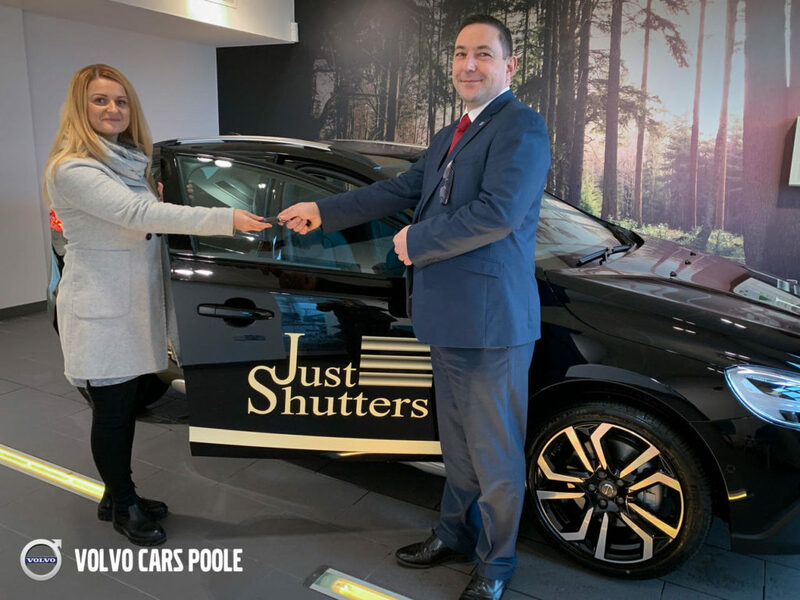 Kate Witucka, our lovely Shutter Designer, has picked up the keys to the newest Just Shutters Volvo V40! Returning from maternity leave after having beautiful daughter Mia, the car is perfect for Kate’s busy role. The black Volvo V40, branded with the Just Shutters logo, is the newest in our fleet of vehicles. A stylish yet practical car, the V40 fits perfectly within the Just Shutters identity. Furthermore, this will allow Kate to visit clients in their homes, all whilst carrying the Just Shutters brand with her. The car has been supplied by Volvo Poole. The team there have been a pleasure to deal with! As a result of them going the extra mile and delivering on their promises, we couldn’t recommend them more. Chris continues “Kate is our longest serving employee and over the last eleven years has always gone over and above for Just Shutters”. 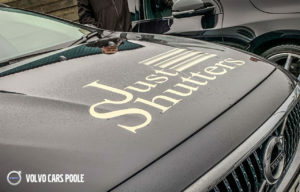 You will no doubt spot Kate driving around the Just Shutters Dorset region. She will be visiting customers in their homes and businesses premises. For a home visit from her, or any of our experienced Sales Designers or local shutter experts in your area, call us on 0845 894 0700. Alternatively, you can find your local shutter expert by clicking here.